Jasmine’s arrival may or may not have been providential. Many have noted that coincidences are God’s way of remaining anonymous. She was, in many ways, a gift. Her life was preceded and concluded by two similar and timely gifts from relatives in her human pack who’d never met. Years ago, a beloved aunt had given her young, great-niece a gift. The gift was a framed print by Victorian-genre painter Charles Burton Barber. It depicted a little girl with a pretty and expressive Sheltie. It was a Norman Rockwell style vignette. Barber specialized in oil paintings of children with dogs. Years later, that same niece would bring home a serendipitously acquired Sheltie. The dog looked remarkably similar to the one in the framed Barber print. After a rich and happy life, Jasmine died in November of 2011. In December, another favored pack member and uncle with a heart for dogs, gave Jasmine’s family a Christmas gift. At the time, he didn’t know that Jasmine had died. The gift was a large framed painting of an elegant and graceful adult Sheltie. The dog strongly resembled Jasmine. The artwork was a fitting tribute that framed the end of a dog’s life that had come full-circle. Coincidence or not, Jasmine seemed to represent a gift in many ways, including this simple artistic connection and its allusion to the continuity of an unbroken family chain. Jasmine turned out to be the perfect name for these and many other reasons. Jasmine is also the name of a flower known for its delicate beauty, sweetness and even medicinal properties. Jasmine was a beautiful dog. Her demeanor and disposition were delicate and sweet. And – on a good day – Jasmine was good medicine. Bad puppy habits and quirks aside, her heart, unbridled enthusiasm and fierce loyalty were good for the soul. 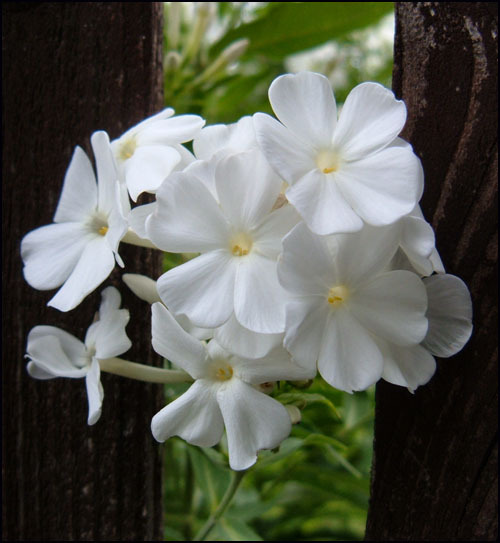 The Jasmine flower grows on plants that come in many varieties. They range from vines and shrubs to small trees. The plant belongs to the Jasmine genus of more than 200 species. These species include the olive tree, an emblem of peace, prosperity, and wealth, with many health benefits. Oil produced from Jasmine flowers is used in aromatherapy, scented products and incense. It is costly and often called “the king of oils” because so many flowers are required to yield a very small amount of the fragrant oil. Jasmine flowers are said to represent life, love, happiness, amiability, nobility, grace and elegance. Jasmine is a special, evergreen plant. Although this puppy’s life has come to an end, her gifts, grace, “pack” connections, and memories in the hearts and minds of her friends, family and pack, are evergreen, too. In the end, the name fit perfectly. Jasmine was indeed a bundle of good things and a gift from God … unless, of course, you were a mail carrier, a stranger (to her), a goose, a squirrel or an alpha-dog. R.I.P., Jasmine.